If you've dealt with water in your basement, you need a basement waterproofing system that will provide an effective, long-lasting solution. At Ohio Basement Authority, our patented basement waterproofing products are proven to eliminate water in your basement and ensure a dry, clean space. Our experienced professionals will evaluate your home and recommend the right solutions for your needs, providing you with a custom system design for your home. If you're looking for the right basement waterproofing system, call us today at 1-844-266-8310 or click below to get started with a free estimate in Columbus, Springfield, Mansfield and the nearby areas. We provide several varieties of perimeter drain and French drain systems, allowing us to adapt to every basement's individual needs. The specially designed systems trap water as it enters the basement and drains it to the sump pump, preventing standing water and pooling. A sump pump is an essential aspect of every waterproofing system, which is why we use high quality, long lasting Zoeller® sump pumps. 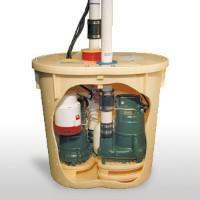 Our sump pumps come with unique liners that prevent clogging, as well as battery backup systems and a water level alarm. 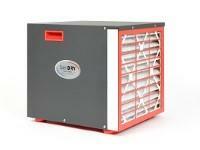 Our energy efficient SaniDry® dehumidifiers represent the gold standard in basement dehumidification. These self-draining systems eliminate damp, musty odors and prevent condensation that can cause mold growth. Many homeowners use their basement as additional living space, which is why we provide waterproof basement flooring and wall products. 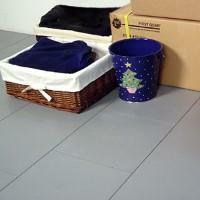 These products are made from completely inorganic materials and will not be damaged by leaks or mold. 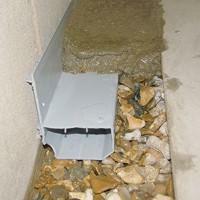 Together, this system provides complete protection from basement water issues. Our system design experts will help you get the right combination of products to fit your home's waterproofing needs. We also provide warranties on all of our products, give you added peace of mind. Quality Products: We are the local member of the international Basement Systems® network, which has been installing patented, award-winning products for more than 30 years. A Cost-Effective System: Our waterproofing system can be customized to fit your budget, and it costs about half as much as an exterior waterproofing system. We won't ever ask you to purchase products your home doesn't need. Local Company: Ohio Basement Authority is locally owned and operated and has been serving the Greater Columbus area for over 20 years. We're here to help whenever you need us! Tired of dealing with a wet basement? The basement waterproofing experts at Ohio Basement Authority are here to help you get the right solutions for your home. Call us today at 1-844-266-8310 or contact us online to schedule an appointment with one of our basement waterproofing specialists and learn how our waterproofing system can keep your home dry. We offer free estimates on all our work in Columbus, Springfield, Mansfield, Westerville, Newark, Lancaster, Zanesville, Chillicothe, Marion, Dublin and the surrounding areas!